Standby while the photos load !! Thanks !! I would urge everyone who enjoys Long Beach nostalgia and the preservation of Long Beach's history to visit the Historical Society site and consider supporting it. They have many great books about LB history at reasonable prices and a museum in town. Thanks to Dr. Taubman for his generosity in sharing with all of us the rich and colorful history of our city. An old LBFD fire truck. 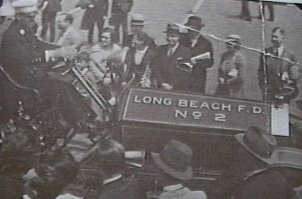 A 1922 American Lafrance, which was the first Engine 2, assigned to the West End. This photo taken at the Memorial Day parade in 1939. Looking east down the boardwalk, probably from around the National Blvd. area. The Castle by the Sea Dance Hall. 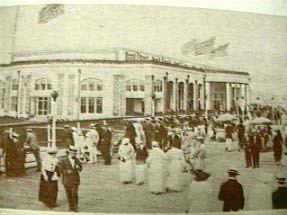 First named "Danse de la Mer" (dance by the sea) It was actually a theatre built by William Reynolds for then famous dancers Verne and Irene Castle. At the time it had the largest dance floor in the world. 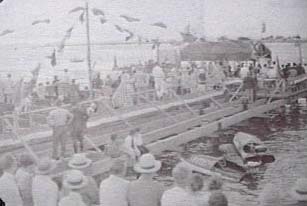 It was just east of the Hotel Nassau and the Tower Baths. 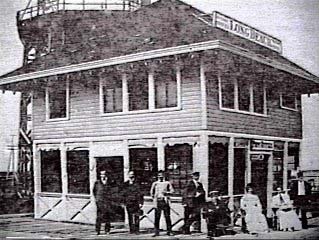 The Old Long Beach Village Hall was on the east side of it. 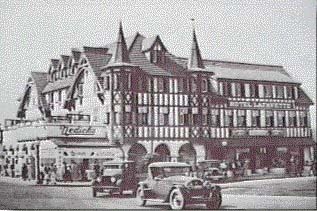 It was later added on to and eventually burned down in the 30's. Many other photos of it are on this site. This is Delaware Ave. looking south from Park St. Notice the streets have not been paved yet. 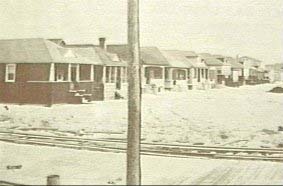 The old trolley tracks are visible in the foreground. 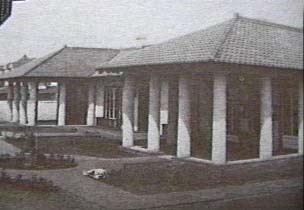 This was the old Long Beach Village Hall. It was just east of the Castle by the Sea Theatre at the boardwalk. 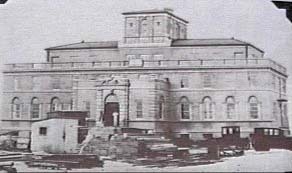 It was later moved to become the center piece of the City Hall complex. Another photo is on Postcards 2 page and you can plainly see where it was to at the city hall complex, directly in front of the clock tower, on Postcards 1 page. 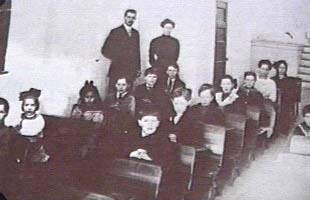 The first classroom in LB, this was in the Hotel Nassau, 1912. 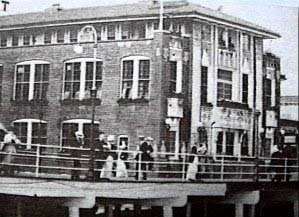 Hotel Nassau, believed to be taken from the tennis courts or Music Pavillion on the east side of the building. The Laurel Theater and the Laurel Lunchonette to the left. 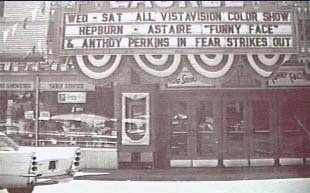 Both of these movies opened in 1957 so it's a good bet that's the year of the photo..and check the tail fins on what looks to be a late 50's Plymouth! 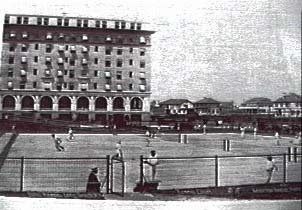 An old, blurry photo of the Long Beach Hotel which burned in 1907. Doctor Taubman had this pegged as being on Edwards Blvd. 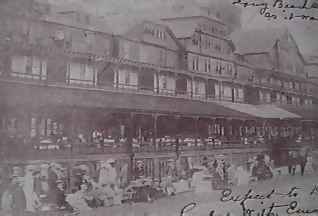 What great verandas this place had! 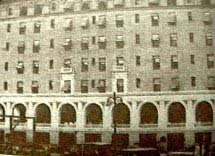 Read the history of the Long Beach Hotel and the account of the fire by clicking this text. 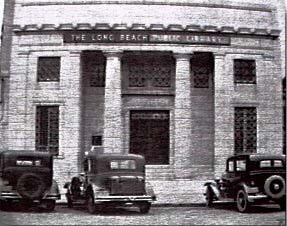 The Long Beach Library, from 1935-1945. 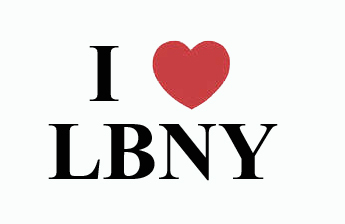 This is at 20-26 W. Park Ave. The building was formerly a bank and most recently Mister Sports. 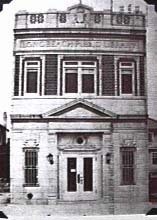 Captioned as "The First Church". 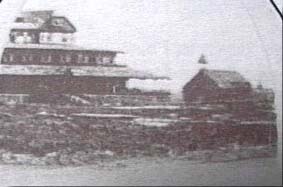 This was the First Congregational Church of Long Beach (on right in photo), and was destroyed along with the adjacent Long Beach Hotel in the fire of 1907. The seasonal Long Beach Post Office and railroad depot. circa 1880. Tennis anyone ??!!! At the Hotel Nassau. 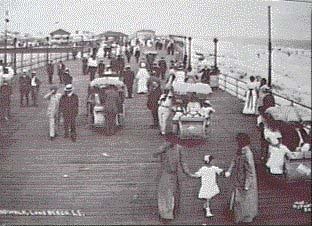 Year unknown, but prior to 1917, as the Castles by the Sea Baths and Theatre sat on this land after that. Fishing School Days Blizzard 2000 Early 1900's LB Reunion, Jan. 2001 Fire Dept.